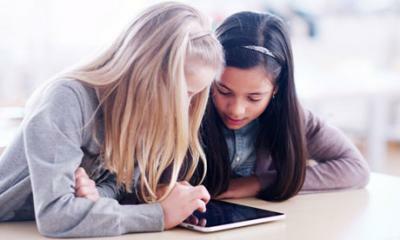 However, many Scottish schools are encouraging children to make use of their own devices in projects, so even if there is no requirement to have an iPad or smartphone there is still a risk that the gap between haves and have nots will become wider. Here are some of the issues our members have noted arising in Scottish schools. Perhaps you know of others? Many schools in Scotland are moving towards electronic communication with parents to save money, e.g. emailed newsletters and notes home. The link with the school for parents who don't use email becomes much weaker in this case. Parental engagement in children’s education is a key indicator for improving achievement levels, particularly among those from poorer backgrounds, so anything which reduces parental engagement interferes with students’ progress. With the rollout of Glow (the name for the intranet for schools across Scotland, which is accessible from home) even primary schoolchildren increasingly receive their homework via the internet and are expected to research information on the internet for homework. Teachers give those children with no internet access at home their homework on paper, and they are expected to go to the public library to do research. This practice is likely to create a very real divide, despite the best efforts of the school. There is an increasing expectation that children will have easy internet access at home. Schools are generally provided with computers and other electronic devices via capital budgets, but the day-to-day support for the computers themselves, and licenses for educational software, both have to be funded from the annual school budget. This varies considerably from local authority to local authority, but it can mean computers sitting useless, particularly in primary schools, due to a lack of technical support. Again, those children with no PC or internet access at home will be most disadvantaged here. It is clear that increasingly the emphasis is on students having or bringing their own devices to school. The situation is changing very quickly, and government initiatives are struggling to keep up with technological and social media developments. Three years ago the emphasis was on developing Glow as a secure ‘walled garden’ intranet for schoolchildren, which would be similar for all schools across Scotland. The emphasis has shifted now to helping children to use the range of technologies they may have access to at home or school in a safe and integrated manner. This puts the onus on individual teachers to deal with technical issues and also on parents to provide devices and ensure their safe use. It assumes levels of awareness and skill that may not exist. A free lunch or a free tablet? Free school meals for all children for the first 3 years of primary school are being rolled out in England. Money for this will be made available from the Westminster Government to the devolved administrations too, though they will have discretion about whether to actually use the money for this purpose. While a year’s school lunches may cost over £200 per child, a basic wifi enabled internet device would cost around £100. If that is the choice we now face under constrained budgets, which do you think would give every child in Scotland today a better chance to succeed in life?